Sikkim has been adjudged the cleanest state while Jharkhand comes last in a list on the condition of sanitation in rural areas of 26 states. Prime Minister Narendra Modi’s home state, Gujarat, is ranked 14th. The results of a survey carried out in 2015 by the National Sample Survey Office (NSSO) was released on Thursday by rural development minister Narendra Singh Tomar. 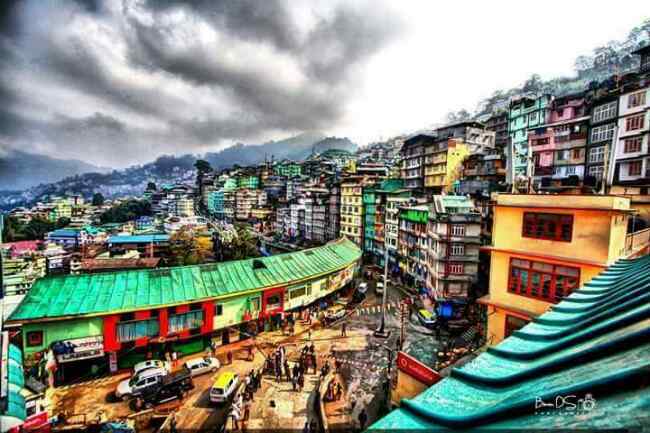 It has listed Kerala, Mizoram, Himachal Pradesh, Nagaland, Haryana, Punjab, Uttarakhand, Manipur and Meghalaya among the top 10 cleanest states. The states which fared poorly in the NSSO study include Chhattisgarh, Odisha, Madhya Pradesh, Uttar Pradesh, Bihar, Rajasthan, Tamil Nadu, Karnataka and Jammu and Kashmir. The NSSO conducted the survey in May-June 2015 covering 73,176 households at 3,788 villages across the country. The rankings were given on the basis of the percentage of households having sanitary toilets and using them—either household or community toilets. Sikkim scored 98.2%. The other scores on the higher side were: Kerala (96.4%), Mizoram (95.8%), Himachal Pradesh (90.1%), Nagaland (88.6%), Haryana (87.9%), Punjab (86.1%), Uttarakhand (80.2%), Manipur (73%) and Meghalaya (73%). The scores on the lower side were: Jharkhand (17.7%), Chhattisgarh (19.9%), Odisha (24.8%), Madhya Pradesh (24.8%), Uttar Pradesh (27.3%), Bihar (29.8%), Rajasthan (35.8%), Tamil Nadu (39.2%), Karnataka (44.3%) and Jammu and Kashmir (45.9%). According to the latest report compiled by the ministry on sanitation coverage, Sikkim has retained the top slot with 99.9% sanitation coverage, followed by Himachal Pradesh (97.11%) and Kerala (96.35%). Gujarat figures among the ministry’s top 10 list, scoring 79.37% as against 53.4% it scored in the NSSO report. Haryana (87.33%), Uttarakhand (86.42%), Mizoram (84.75%), Meghalaya (82.47%), Manipur (81.04%) and Punjab (78.89%) are the other states which are among top 10 states in sanitation. Bihar has been placed at the bottom of the list with 25.16% coverage. Odisha (32.79%), Jammu and Kashmir (33.35%), Jharkhand (40.52%), Telangana (42.13%), Uttar Pradesh (44.15%), Andhra Pradesh (47.14%), Madhya Pradesh (47.48%), Puducherry (50.53%) and Andaman and Nicobar Islands (55.14%) are also among the states which have not fared well. The government intends to make India open defecation free by 2019, coinciding with the 150th birth anniversary of Mahatma Gandhi.